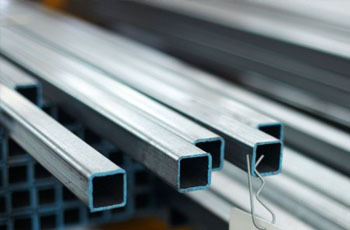 Steel tubing comes in various forms that incorporate round, square, and rectangular shapes. BlueScope Distribution offers a wide range of types with vastly varied dimensions to suit every possible application. Circular hollow sections (CHC) and both square hollow sections (SHS) and rectangular hollow sections (RHS) are commonly used to manufacture welded steel frames where there is loading in multiple directions. All types feature uniform geometry along at least two cross-sectional axes which produce uniform strength characteristics. For this reason, they have multiple uses for construction and industrial applications. Electric resistance welded (ERW) square, rectangular, round, and oval steel tubing is also used for a wide range of construction and industrial applications. BlueScope Distribution also offers a wide range of pipe for a variety of purposes, typically to carry a gas or fluid. In this context, a pipe is a vessel while a tube is a structural part, and here we are dealing with steel tubing rather than pipes. 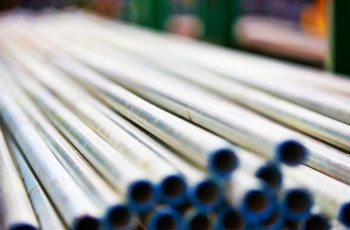 The Standard specifies three strength-grades of steel tubing that are suitable for welding. All the grades included are also suitable for fastening as specified in several other Australian standards. As the title of the Standard suggests, manufacturing specifications cover both cold-forming and high-frequency ERW made from high-strength steel strip. Cold-forming the metal hardens and strengthens it and gives it a particularly good surface finish. 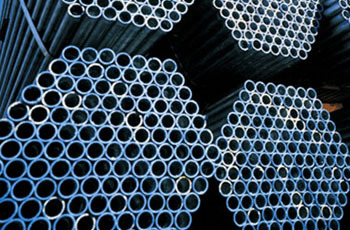 While BlueScope Distribution supplies steel pipes as well as steel tubing, the specifications for pipes are different. All except ERW steel tubing is colour-coded according to the thickness of the tube. While CHC has its own colour code, RHS and SHS 1.6 mm steel tubing will have a purple end, while 2.5 mm will have a pink end, and the end of a 4 mm tube will be green. CHC steel tubing has a hollow tubular cross-section and it offers excellent resistance to torsion. Also, the wall thickness of the steel tubing is uniform around the section. It is popular for architectural applications because it is strong and functional. It is also commonly used for general engineering, in agricultural settings, and for reticulation. CHC steel tubing can be welded, bent, drilled, and screwed. The standard length for CHC steel tubing is 6.5 m though it is also available from 4.1 m to 9 m depending on the coating. Black mill-finish tubing may be longer, while galvanised CHC isn’t available at lengths exceeding 6.5 m.
The end finishes of CHC steel tubing can be mill cut (or plain), screwed at one or both ends, screwed and socketed, or swaged. RHS steel tubing has inherently flat surfaces that make it more economical when it comes to joining and fabrication. Also, RHS is functional with clean lines and is used for construction and architectural applications. RHS is manufactured in a wide range of dimensions and thicknesses, as well as combinations of both. Available thicknesses across the board are 1.6 mm, 2 mm, 2.5 mm, 3 mm, 3.5 mm, 4 mm, 5 mm, 6 mm, 8 mm, 9 mm, 10 mm, 12.5 mm, and 16 mm. Dimensions range from 50 mm x 20 mm to 400 mm to 300 mm. RHS steel is available in two grades, C350LO and C450LO, both of which are intended for both mechanical and general structural applications. Some RHS tubing is only available with a DuraGal® coating. This provides a light but durable finish that protects the steel tubing from corrosion. It is also safe to work with. Telescoping RHS sections are also available. All the EWR RHS has an internal weld bead that is about 1 mm high and BlueScope provides a chart that enables customers to select their steel tubing sizes. SHS steel tubing has similar uses to RHS and is used for both industrial and construction applications. Square section RHS is available in the same thicknesses as RHS and dimensions range from 20 mm x 20 mm to 400 mm x 400 mm. Like RHS steel tubing, SHS tubing is available in two grades, C350LO and C450LO, also intended for both mechanical and general structural applications. While the corner radii of SHS steel tubing from BlueScope will match, there is no guarantee that the corner radii of tubing from other manufacturers will match. Also, like RHS tubing, some SHS tubing is only available with a DuraGal® coating. The coating provides a light, durable finish that protects the steel from corrosion. 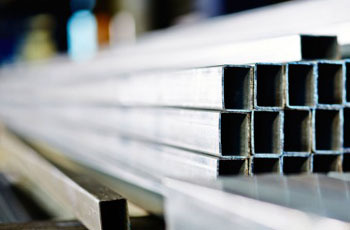 ERW steel tubing may be square, rectangular, round, or oval. The manufacturing process involves induction coils or electrical contacts. Once it has been shaped, the tube sections are joined using high-frequency electric resistance welding that results in a product that has a uniform wall thickness. The area that has been welded is heat-treated by post-annealing to make sure there is sufficient ductility at the weld. ERW steel tubing may be round, square, rectangular, or oval in shape, however, the rectangular and oval ERW steel tubing comes in very limited sizes. Standard lengths are 6.10 m and 7.32 m which are perfect for many applications including fencing, handrails and balustrades, outdoor furniture, safety ladders, luggage, shopping trolleys, tent poles, and more. If you are in the market for steel tubing, contact BlueScope Distribution and we will be sure to meet you specific needs.